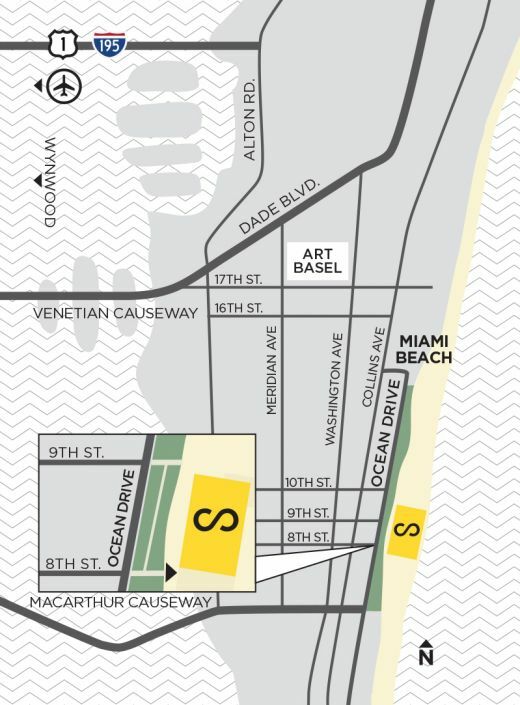 Thinkspace is pleased to announce its participation in SCOPE Miami Beach, December 1-6, 2015. 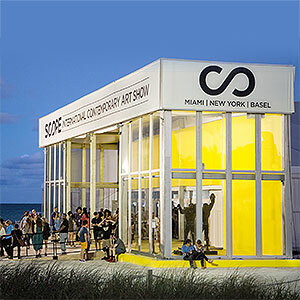 SCOPE Art Show returns to the sands of Miami Beach for its 15th anniversary edition, amidst tremendous support from the City of Miami Beach, an unprecedented outpouring of critical acclaim from press, curators and collectors, and a digital and social media outreach campaign that garnered over 300 million impressions, including praise in The New York Times, Forbes, Artnet, Artinfo, The Hu¬ngton Post and The New York Post, amongst other publications. Acting as home to over 125 international Exhibitors will present groundbreaking emerging work, alongside SCOPE’s ‘Breeder’ and ‘Juxtapoz Presents’ Programs. Now in its 4th edition, ‘Juxtapoz Presents’ celebrates artwork that bends, blends and transcends genre and we’re honored to be taking part once again. Featuring 17 innovative galleries, the ‘Juxtapoz Presents’ program embodies the New Contemporary that is SCOPE’s hallmark and adds a singular dynamism to the Miami Beach 2015 show. Our booth will feature a double solo presentation of represented artists Kevin Peterson and Alex Yanes, alongside the gallery’s signature wall of small-format 12″ x 12″ artworks by 44 members of our Thinkspace Family. Peterson, a painter based out of Houston, Texas, and Yanes, a mixed-media sculptor / painter from Miami, Florida, create work inspired by the endless potential of the cityscape. Yanes, with colorful, multi-dimensional works, informed by his love of Miami, graffiti, tattoos, and street culture, and Peterson, with hyperrealistic oil paintings that explore the psychological vicissitudes of the urban sprawl. An accomplished hyperrealist painter based out of Houston, Kevin Peterson creates highly detailed portraits set against the anonymous urban sprawl of the cityscape. His meticulously rendered paintings are primarily executed in oil on panel, though at times the artist incorporates mixed-media elements as well. With an attentive psychological subtlety, Peterson creates paintings that are emotive, introspective, and haunted by a sense of dislocation. He often portrays children and wildlife in gritty, urban, graffiti-marked spaces, and condemned architectures, to create stark, though beautiful, psychological contrasts. Innocence coexists with the darker dimension of urban exhaustion in these paintings. With a firm poetic allegiance to the underdog, the artist finds beauty in the city’s tensions and oppositions. Miami artist Alex Yanes creates whimsical and highly detailed multi-dimensional works, inspired by everything from his early immersion in Miami subcultures to his recent initiation into fatherhood. His installation-based pieces are personal and intuitive, drawn from his experience and observation of his city. Made of wood, acrylic, resin and enamel, Yanes’ mixed-media works stage shifting tensions in scale, contrast and dimension. With hyper-saturated colors, immaculately finished surfaces and an unconfined sense of energy, his works encourage undeniably experiential encounters. With a graphic sensibility, drawn from his formative years immersed in tattoo, rock, hip-hop and skateboard cultures, Yanes’ imaginative expansiveness transforms the familiar into something wonderfully strange and new. Look for Thinkspace towards the fair’s main entrance at booth F03 showcasing mini-solo shows from both Kevin Peterson and Alex Yanes. We look forward to seeing you on the sands of Miami Beach this coming December!